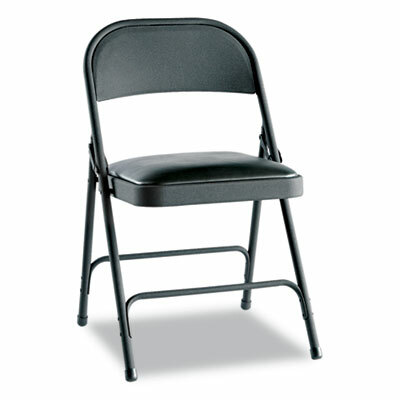 Traditional armless steel folding chairs are an office necessity. Sturdy tubular steel frame with double braced construction. Textured powder-coated finish resists smudges and fingerprints. Rubber caps on feet help protect floor. Fold and stack neatly for storage.